Mete gets a mysterious phone call from a man who calls himself as a “conscience”. This man claims that he knows the murder behind Mete’s father and starts to help Mete take his revenge. With the insider information given by this man, Mete starts to execute his plan. According to his plan, he will work as a delivery guy under his father’s original murderer Murat (Murat Daltaban) and leak into the company; he will be a close friend of Murat’s daughter Esra (Damla Debre) and use her if needed; and he will eventually unveil all the things related to past. Meanwhile, Mete and his grandmother move into a new apartment where the security guard of Murat’s company lives. Mete intentionally chooses this apartment in order to be close to this security guard. However, something unexpected emerges. While Mete wants to focus on his plan, he meets Turkan (Funda Eryigit) who is living at the same apartment. Turkan is a beautiful young girl who is the daughter of the security guard whom Mete wants to follow closely. Turkan is a newly graduate and works as a lawyer in a small law office. She starts to develop some feelings towards Mete at first sight and the coincidences bring them together. 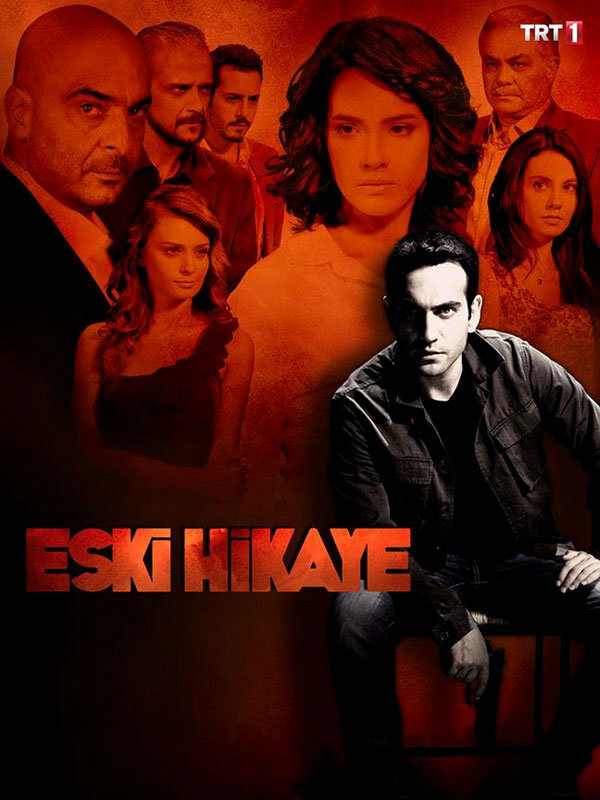 In Old Story (Eski Hikaye) tv series story, you will watch a wonderful detective story with a psychological twist. Will Mete eventually find the original murderers and take his revenge? Will Mete give up taking his revenge and start to live in peace? Will Turkan change Mete’s life? Mete (Bugra Gulsoy): Mete is a young university student who works as a taxi driver at the same time. He is clever, cool, and full of anger. He aims to get his father’s revenge and find the murderers. Turkan (Funda Eryigit): Turkan is a young girl works as a lawyer in a small law office. She lives at the same apartment of Mete and starts to develop some feelings towards him. Murat (Murat Daltaban): Murat is a rich businessman who is the original murderer of Mete’s father. He earns most of his wealth through drug dealing. Zeynep (Tugce Kumral): Zeynep is Turkan’s little sister who works as a call center customer respresantive. Omer (Uraz Kaygilaroglu): Omer is a young guy who works at grocery store and secretly loves Zeynep. He does not have courage to tell his love.